For wine drinkers, enthusiasts, collectors, family and friends. We are pleased to offer an opportunity to join our family and enjoy with us the outstanding wine our land helps us craft - millions of years in the making. Shipments are typically made in April and October and our members will have access to all wines before they are released. As a Fossil Collector member you will receive a 10% discount on a 6 bottle assortment shipped in the Spring and a 6 bottle assortment shipped in the Fall, as well as any additional purchases*. Discounted flat-rate shipping is $30 per shipment. Mixed collection of Red, White & Rosé wines. Approximately $700 annually. Mixed collection of Red wines. Approximately $750 annually. *Excludes Time Release and Amani Wines. As a Paleontologist member you will receive a 15% discount on a 12 bottle assortment shipped in the Spring and a 12 bottle assortment shipped in the Fall, as well as any additional purchases*. Discounted flat-rate shipping is $48 per shipment. Mixed collection of Red, White & Rosé wines. Approximately $1300 annually. Mixed collection of Red wines. Approximately $1400 annually. 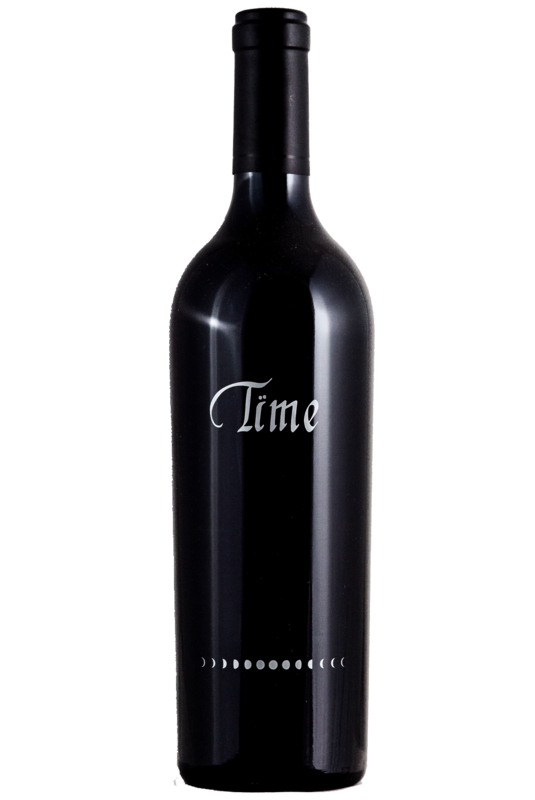 Time is a magical blend of multiple, consecutive vintages of estate-grown reserve Cabernet Sauvignon that captures in a single bottle the subtle nuances of time-aged wines with the fruity exuberance of young wines. Each bottling will carry with it the essence of all the vintages that came before, and perhaps through this amazing and unique sensory experience you too will be able to glimpse the future. While this process results in a stunning wine of great complexity, it does create a fixed production of 600 bottles each year. So we have come up with a way for you not to miss out and guarantee your allocation of each new release. In order to reward our loyal “TIME” members we are offering an allocation program that will allow you to reserve a set number of bottles for each new “TIME” release (3, 6 or 12 bottles). or call us at 707-927-0765.